I just read one of the most powerful pages of any book I’ve ever read. 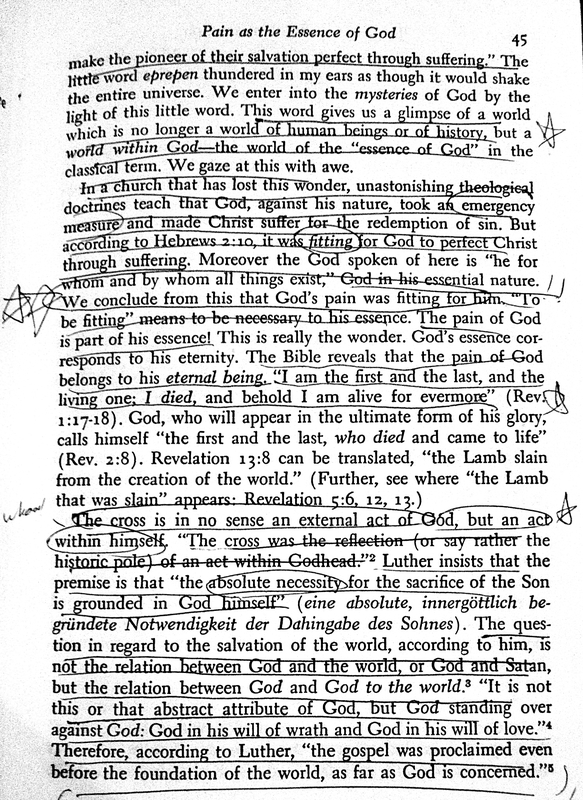 From Kazoh Kitamori’s Theology of the Pain of God. And yeah, those are my markings. Welcome to my brain on a page. Thanks for sharing – powerful stuff. And i do the same thing to my books!